Based of that my storm dimension lost n inch too so is 3" from pap to pin and would explain why its rolling out so soon and real hard to get length down range. Two weeks into this season and I have no clue what I will find next week in league. I was practicing over the summer on a morning after a trio league bowled the night before on a fresh shot. The lanes were consistent and really weren't broken down that much. I had also gone one Sunday morning on the fresh right before the season started and they played just a few boards weaker just like I thought they would. The first week of league, they started on the fresh like I expected, but broke down drastically by the early part of the second game. I ended up switching to the Critical Mass from the Vintage Zone and was able to bowl well enough the third game to shoot a 611 after being under a 600 pace going into the last game. I ended the night playing deeper with the Critical Mass that I had all summer. At the second night of league last night, I noticed right away from myself and everyone else that they were hooking like the ball hit a brick wall. Any miss slightly to the right or a touch slow was taking a nosedive and a lot of fun splits were left (multiple 3-4 combos from rightys). My first game was marred by two splits, one in the 10th that hurt my start to the night. I decided that resin was too much, so I switched to my Turbo to start the 2nd game. I underestimated how much it would hook and left a split right away with it. I moved in a little after that and found the line. I mostly kept up with transitions as they broke down and got up to a 614 for the night. I ended up playing near 3rd arrow with the Turbo by the end of the night. The last shot of the night I thought I had swung out too much and it roared back high flush. 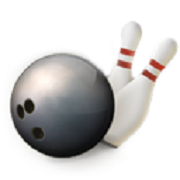 My big positive is that my only missed spares through 6 games were splits, a 3-6-10, and a 3-6-9-10. The negative is I have no idea what ball to use next week. If the lanes stay the way they were last night, I'm thinking that I'll see a lot of use out of my Turbo. I might take it out first and if I can play a line around or slightly inside 2nd arrow on the fresh, I'm going to assume anything reactive will do the same thing it did last night. Thanks, looks like you are making some good progress yourself. The high scores will come. Unfortunately for me wasn't able to parlay that victory into much. Bowled 2 tournaments last weekend and did decent but missed the cut by 16 pins in one and about 30 in the other. Just couldn't put enough strikes together. Sunday night shot a decent 662 to open that league and then started Wednesday with 220 but went downhill after that and fell shy of 600 with a 594. Thursday opened with a 226 but really needed to carry a 2nd strike in the 10th to take my point and instead left a ringing 7. The rest of the night really struggled. Three straight splits in the 2nd game and the 3rd wasn't much better (164, 179). Tonight went 194, 232, 214 for a respectable 640. Got a DV8 Alley Cat on the way which will hopefully help with some of the transition and over/under I've been dealing with in all of my leagues. 187 struggled with carry front half and picked up some luck on the back end. There were 4 hammer black n golds on the rack, all playing the almost same lines on the break. we have been bowling well, but losing. As an example, my H2H opponent, with his 178 average; shot 279-244-232 against me. And, with his cap, there was no way I could win a game. Our 4th and 5th bowlers both shot over 700, so we did do well, winning 25 of 36 points. Of course, I got skunked. Our start was 0-3 games, 1-2 games but 3-0 this week. My start is horrible and can't break 550. I keep telling myself, it's early. It took me three weeks, but I put a little something together last night, particularly when I paid more attention to my elbow position in my swing. Spare game might need work, but that could come around. Team didn't have a great night, but still took three of four (1st & 3rd games & total). Bowling tonite, and I don't think my knee will let me. It's real painful now. GL with your knee Dennis, hopefully you were able to bowl. Last night was a struggle for me although I felt I threw the ball pretty well but went 182, 188, 204. Just didn't have the reaction I needed down the lane. Had a shiny Verdict and a Cash with a little bit of surface on it with a double thumb drilling. Verdict went too long down the lane and the Cash just didn't make the turn at the end. Tried to make adjustments with those balls to try and carry and made things worse before having an OK 3rd game. Despite my struggles I was able to take 3 out of my 4 points and the team actually split 13-13 despite losing total. Got my Alley Cat today threw it in the scratch league. Lanes were better than last week I think due to the cooler weather we've been having. Didn't play as dry but still enough friction to throw my new ball. Started out with 257 but my opponent (a lefty cranker) shot 266 so I lost my point while our team actually took the other 5. Scores across the house were through the roof and the eliminator cut was 240. Second game had a chance to go off the sheet and shoot 257 again but just didn't quite get out of it cleanly and left a pocket 7-9. Shot 224 which was just enough to stay in the eliminator but my opponent took advantage of that opening and struck out for 227. 3rd game the transition hit my opponent while I only had to make small moves to stay in the pocket. However I was struggling to carry and had to settle for 191 but it was enough to split with my opponent who had a disastrous final game. Team took 14 out of 25. Next week I'll be bowling in the 3rd position with our adjusted averages now taking effect and the lineup in this league being set by average (lowest to highest). Teammate is averaging 223 so far while I am at 211. Happy to cede it to him for now especially after only taking 5 of 16 points. I will be facing mostly low 200 average bowlers from the 3 spot. Whelp.....the first session was a complete bust for me, as I wanted to throw balls that weren't conducive to the condition...THAT is on me. I missed the next four sessions (across 3 leagues) because I was out of town, but Wednesday night I did reasonable throwing nothing but my polished, urethane, spare ball. 170something, 160something, 230something ~ 565. Picked most of my easies [shrug]. I expect Saturday, at an AMF house, I will actually see some oil and be able to use my brandy new Radical Beyond Ridiculous! Or at least my also new Roto-grip Winner. League was interesting last night, but not because of my bowling. The lanes were hooking a lot again this week and my plan to use my Turbo worked out well. 230,225,219 for a 674 and my only opens were two splits. 9 games in and I've not missed a single pin spare. Our team took 5, but we were bowling against ourselves as the other team only had 1 regular bowler, two subs, and two blinds. 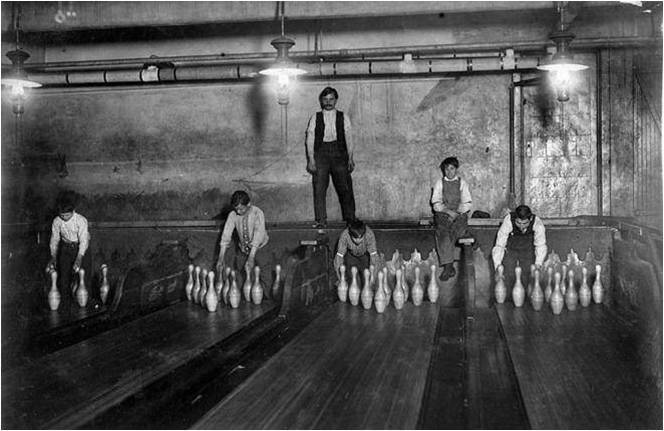 Our league has added a legal lineup rule stating at least 2 regular bowlers must be present (subs do not count). This led towards a lot of confusion for the other team, additionally they weren't informed until the 2nd game. Then, the two subs were bowling for the first time this season and there was confusion with them understanding the sanction fee vs. paying league fees. One of them had subbed 5 weeks last season and never paid a sanction fee. Either the regular team member paid the fee for the sub or some stuff really fell through the cracks last season. On top of that, we lost the 2nd game by missing 50 pins below our average by quite a bit. Right after bowling a 263 with 11 strikes and an open on a split, my anchor scraped the top of his middle finger by the fingernail on his locker quite badly. He struggled the 2nd game with skin patch on the finger, but it was bleeding too much and he had to use a band-aid on it. He tried bowling with only the ring finger and thumb (legal until Aug 1, 2020! ), but he couldn't get comfortable. So, the last game he tried bowling with his thumb, pinky, and ring instead and shoots a 244. He wished he had tried that sooner and said he might try it again if he wants to straighten out his shot.